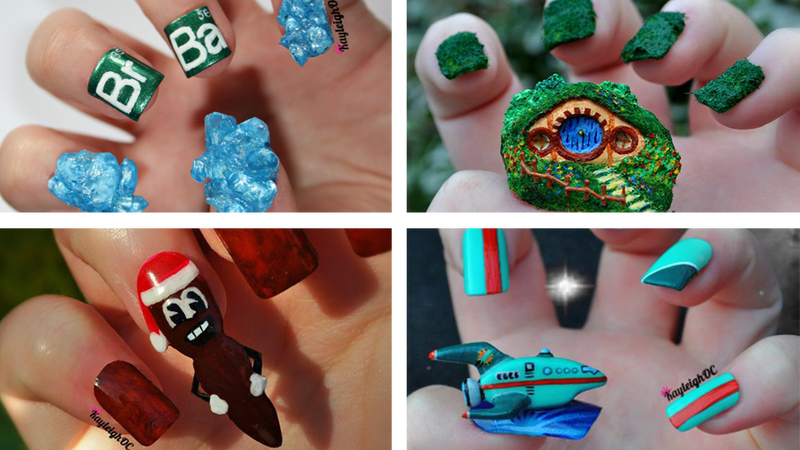 Kayleigh O'Connor turned a bad habit into a good one when she realized she could actually design the fake nails she glued on to prevent herself from biting at her fingertips. And, my, has that hobby blossomed. She has an impressive array of designs—that are, sure, a bit impractical—all over her deviantART page, using a combination of clay and some other materials for the big stuff. They're a little old but worth a gallery lineup.